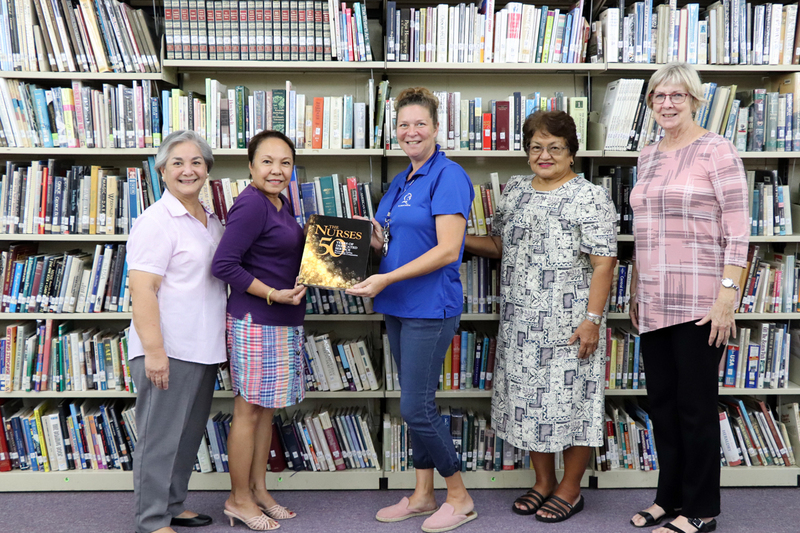 St. John’s School library recently received 2 copies of the University of Guam School of Nursing Alumni Association’s book entitled, “The Nurses: 50 Years of Dedicated Service, Nurturing, Caring, Service with Compassion”. On Friday, September 28, 2018, members of the nursing alumni association President Rose Tribaudini, Director Aleta San Nicolas, and Secretary Marie Crisostomo visited St. John’s School to present the books to the school librarian, Mali Ujiie and Head of School, Patricia Bennett. 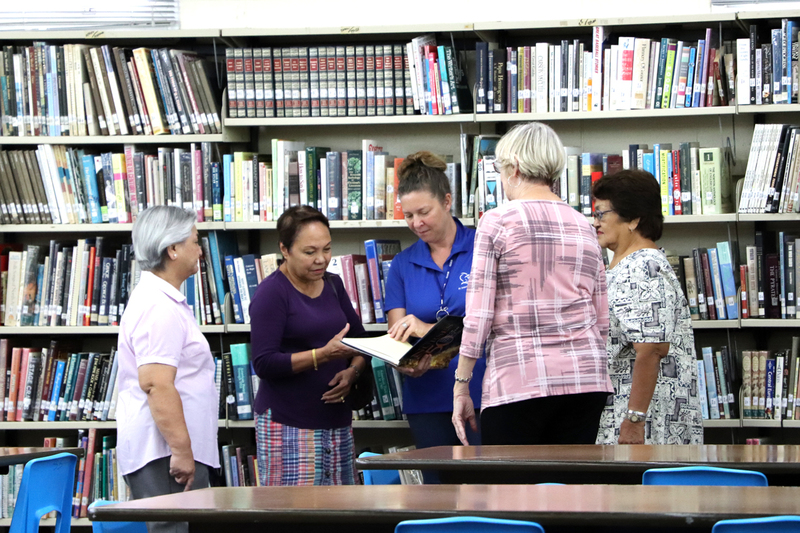 The book shares stories of the first UOG School of Nursing graduates, Class of 1968 and the significant influence they have contributed to Guam’s healthcare. Through this book, the association hopes to encourage the youth to pursue a career in the field of nursing. According to Mrs. Ujiie, once the two books have been cataloged into the system, students will be able to have them checked out.